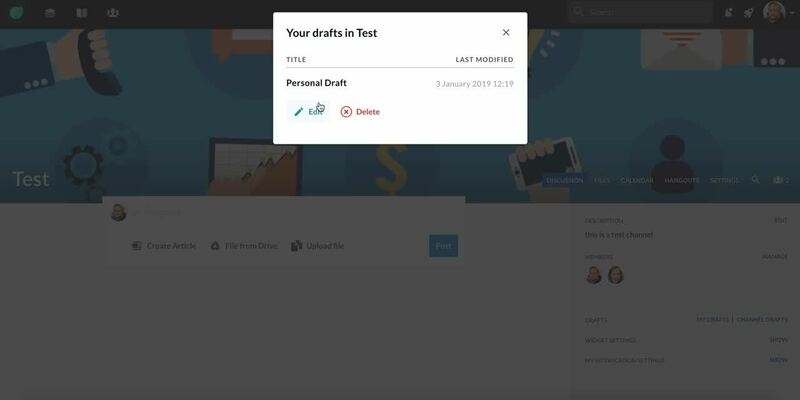 To publish a draft you will need to click "My Drafts" in the drafts section of the Channel Sidebar. Then edit the draft and click the arrow from the top right corner of the update draft button and and then click Publish. To publish a draft you need to be an Editor or Owner of a Channel. Owners and editors can see all the Channel drafts by clicking Channel Drafts in the drafts section of the Channel Sidebar. Once Channel Draft view is selected all the Channel Drafts are loaded below the new post. 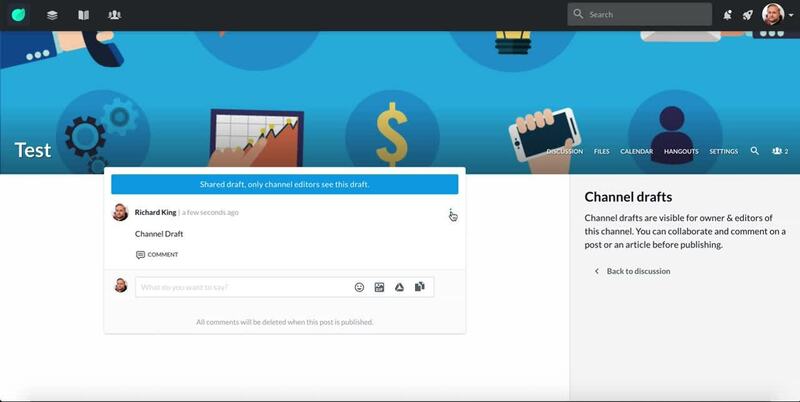 Publishing a Channel Draft is done by opening the post settings and selecting publish.